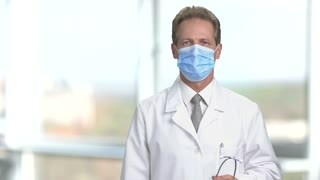 Portrait of adult doctor put on protective mask. Bright abstract blurred windows background with view on city. Physician in protective mask put on stethoscope. Bright abstract windows blurred background. Doctor getting ready to check patient. Old doctor with stethoscope putting on protective mask, green hromakey background for keying. Portrait doctor in protective mask use stethoscope. Mature physician wearing blue mask exemine your health. Bright abstract windows blurred background. Close up portrait old doctor put on protective mask. 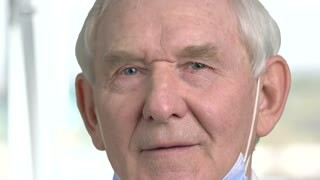 Senior dentist put on mask, blurred bright background. Mature male physician puts on protective mask. Attractive bearded doctor with stethoscope puts on latex gloves. Blurred clinic window background. Mature doctor with stethoscope puts on protective mask. Male physician in white coat puts on rubber gloves. Ready for examination. Isolated on white background.